dressed up like a lady: Over some. Okay, overall. wow what a rocking outfit. i love the shoes with it and the necklace. Awesome. 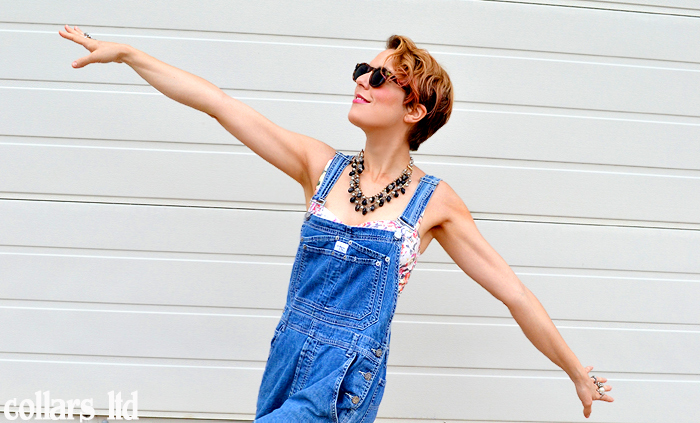 That is THE way to wear overalls. Also, MC: Texas Cocktail Dress is the perfect descriptor! I don't remember having an opinion about overalls when they were first popular, which is strange considering I now realize they were ubiquitous. Regardless, I must say I am with MC on this one, I like them much better now.